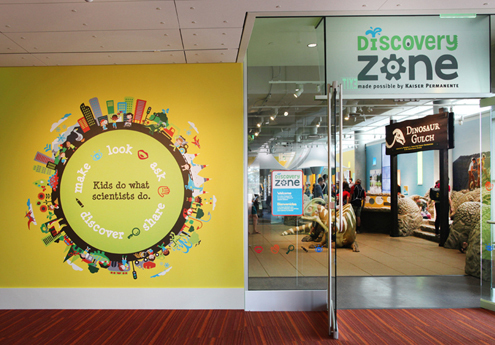 Discovery Zone Denver Museum of Nature & Science « Jeff Kennedy Associates, Inc. The new Discovery Zone, designed to expand and invigorate one of DMNS’s most popular attractions, builds a strong foundation of science skills for early learners through hands-on, highly experiential and multisensory experiences. Each play area takes inspiration from a real place – City Park, where the museum is located; Denver’s distinctive airport; the wilds and wonders of the Rocky Mountain region; or places as familiar as the family kitchen or backyard. 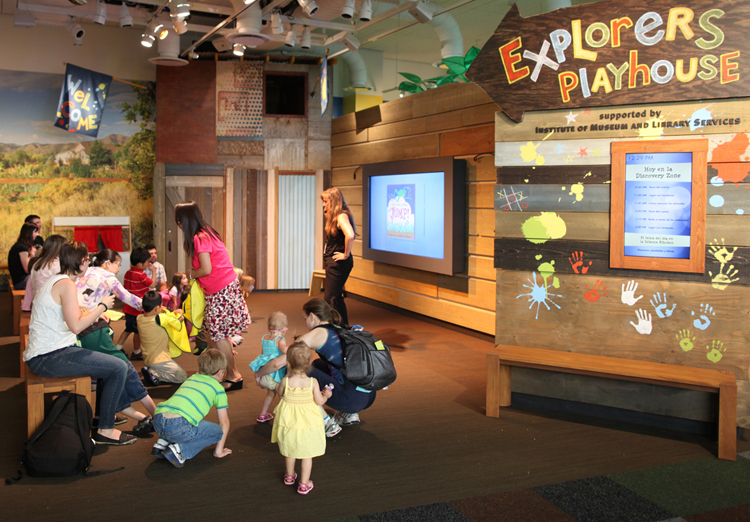 The gallery’s rich mix of activities and immersive environments provide experiences that introduce children to basic science concepts by engaging them in open-ended play and experimentation. Embracing the philosophy that “Kids Do What Scientists Do,” exhibits, activities and programs focus on the science process skills of observing, quantifying, inquiring, analyzing, creating, and communicating. 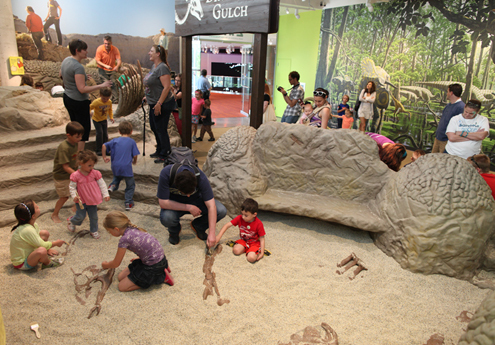 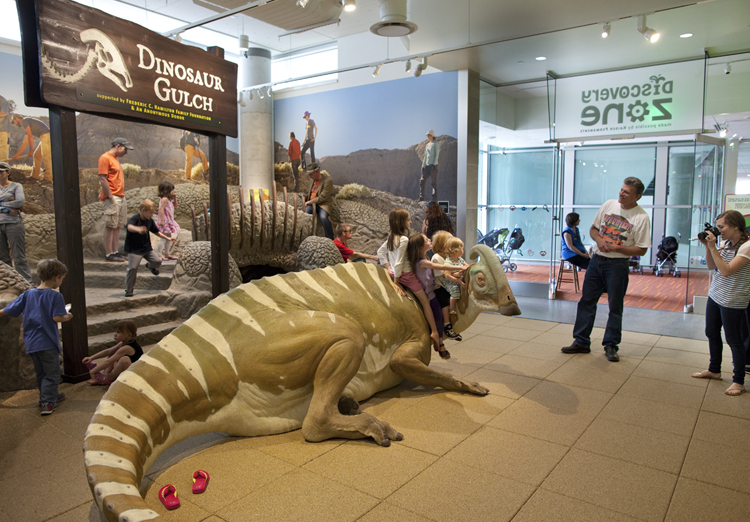 Entering the Discovery Zone, a life-size climbable dinosaur welcomes children to Dinosaur Gulch—a western paleontology dig experience where children can excavate fossils amid rock outcroppings or explore an intriguing bat cave. 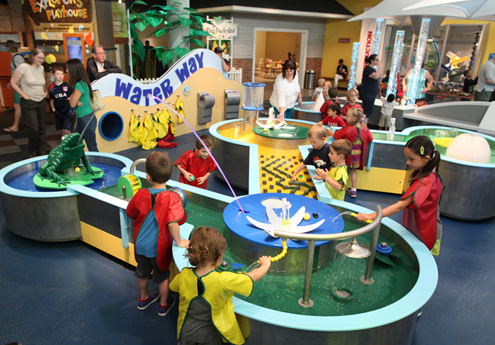 Leaping laminar fountains modeled on City Park’s interactive water feature animate the Water Way water play area and offer fun ways for kids to manipulate and observe water in action. 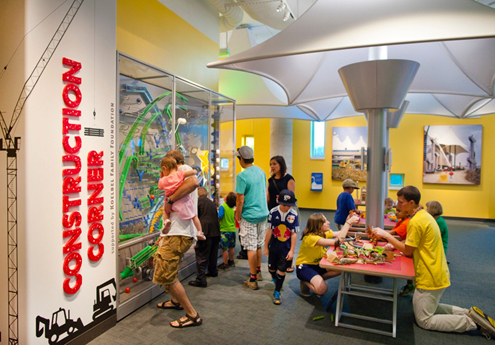 In an area inspired by Denver International Airport’s iconic structures, children experiment with building methods and materials and interact with a ball wall that lets them see how simple machines propel balls through obstacles and ramps. Designed expressly for children under the age of two, Big Backyard’s dress-up and role play activities provide first encounters with nature and science. 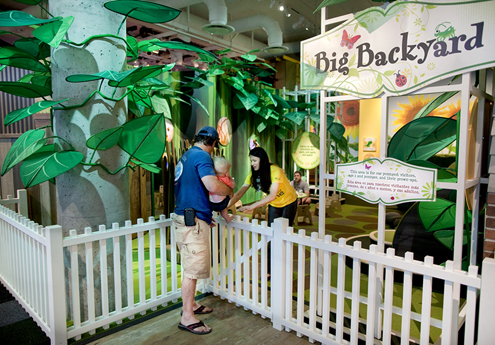 A backyard clubhouse-themed performance area sets the scene for action-packed science, culture and dramatic play programs and performances. 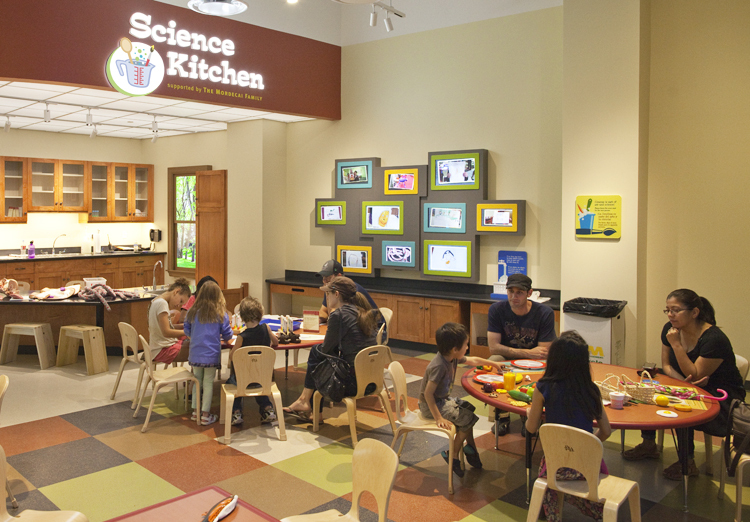 This multipurpose science and art lab features facilitated programs, experiments and a changing array of creative art projects.